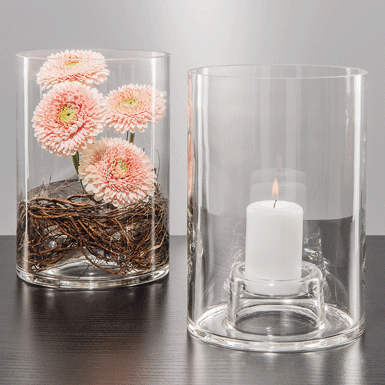 A multipurpose windproof candleholder that you can decorate with seasonal ornaments. Alternatively, you can use it as a vase. One candle is included and others are available separately. mouth-blown into the mould, flame-cut rim.